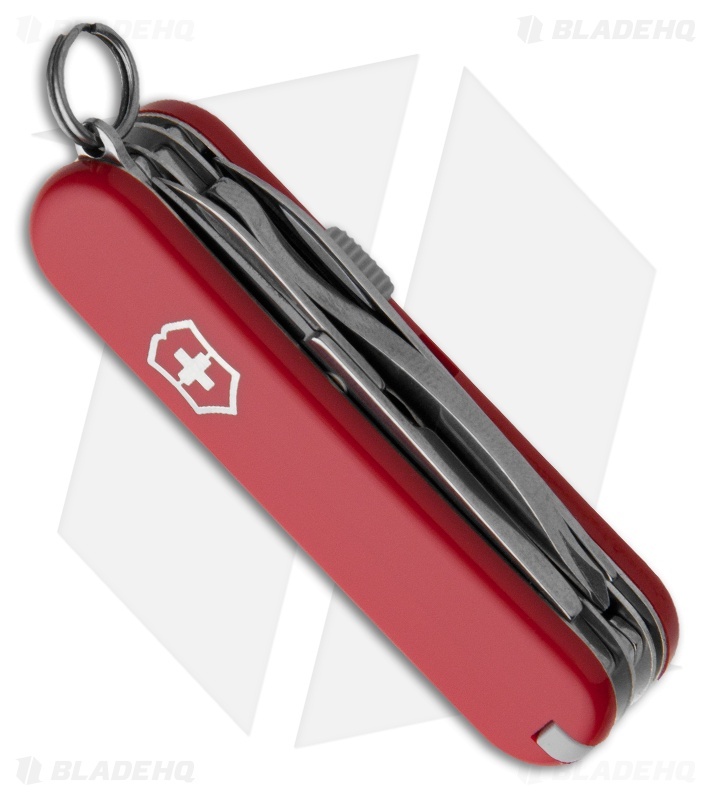 If you're looking for a compact Swiss Army Knife with a wide array of implements, then look no further than the MiniChamp Swiss Army Knife. Boasting 16 implements, stainless steel blades and a lifetime warranty, the MiniChamp is the perfect pocket tool for those who want all the handiness without all the bulk. The newer and better version of many people's first knife. Great for EDC. If you work in an office, you need this knife. 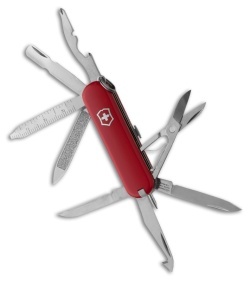 This little guy is just slightly larger than your Victorinox Classic SD but adds a fantastic little arsenal of tools. I won't give you a synopsis of each little tool because their functions are self-evident. One tool you may have missed, however, is the addition of a tiny pen. It isn't features very prominently in any of the images but by God is it there.